Buceo (a prime area) is known for having a higher quality of living than the average in Montevideo. This seaside neighborhood is home to the city’s premier marina, and is host to many sailing events. With the recent opening of the World Trade Centre and Montevideo Shopping Centre with its restaurants, shops and banks, Buceo has become Montevideo’s new business centre. 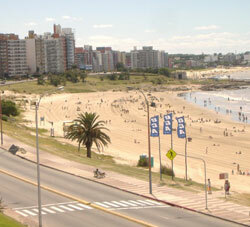 The coastal neighborhood of Puerto Buceo is one of the more affluent areas in Montevideo, situated near Pocitos. Houses here have high property values, especially those homes that have scenic ocean views.